This summer, Canadian TV viewers will be exposed to one of the most insane, balls to the wall TV series to hit the airwaves in years. 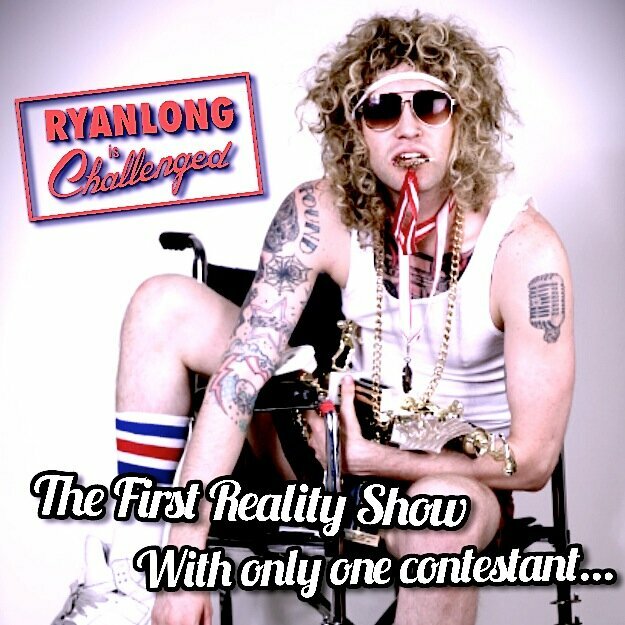 Ryan Long is Challenged, the latest offering from professional troublemaker Ryan Long follows his attempts to complete weekly challenges in a satire reality show that utilizes a unique combination of ambush comedy, pranking, and scripted segments. At the end of each episode an ’expert panel’ decides whether he has completed the challenge and earns the prize, or has failed miserably and is faced with the punishment. Ryan’s unorthodox approach to completing the challenges always leads him into bizarre situations with unsuspecting civilians who believe they are on a legitimate reality TV show. Picture ‘Project Runway’ meets ‘Borat the Movie’. Similar to Louis CK’s infamous production arrangement on ‘Louie’, Ryan Long is Challenged is at the forefront of a new era in television production in that it is produced independently, and delivered for broadcast as a finished series. The result? A totally raw, uncensored, and absurdly original series unlike anything seen before. RYAN LONG first busted onto the scene fresh out of high school as the singer of the ska/punk band ‘The Johnstones’, and quickly developed a notorious reputation for his wild antics both onstage and off. As a teenager he created the ‘Phat-Bredrens’ video series featuring sketches, stunts, and general ruckus, which served as the template for what has now become an all encompassing multimedia blitzkrieg. Ryan is now responsible for two half hour comedy TV series’, 8 million + plays/ views on the web, three seasons of an iTunes charting podcasts, two feature films, a ‘best of’ DVD, multiple web-series, and 4 records on Stomp/Warner that have charted on both the Much Music Countdown and the Canadian billboard charts. He has also been seen on Much Music’s “Video on Trial”, MTV Live, Breakfast Television, Edge 102.1, CTV, Fuse, Spike, Space, TheScore, Discovery, and much much more. Ryan has spent the last ten years touring the world as both a standup comedian and a musician to a constantly growing fan base, while perfecting his unique brand of in-yourface comedy that has lead to countless nights in police stations and hospitals. The six-episode series premieres only on BITE TV Sunday, July 6 12AM EST, and continues to run throughout the summer. An open screening takes place in Toronto Thursday, July 3 7PM at Revue Cinema, 400 Roncesvalles Ave.